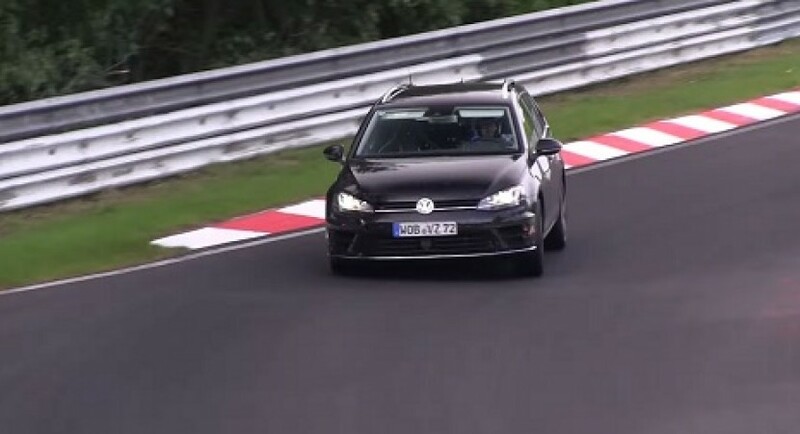 It seems that Volkswagen is heavily testing the wagon version of the high-performance Golf R, a model which has been spotted during tests on the well-knwon Nurburgring circuit. There is no more camouflage on the vehicle, something which tells us that the final production version should be around the corner. Under the hood, expect to see a powerful 2.0-liter turbocharged engine producing around 300 horsepower. Combine this with a quick transmission and a four-wheel drive system and you will get impressive performance figures for an estate. The exterior styling brings largely the same design cues from the hatchback Golf R. We notice however, the new alloy wheels as well as the four-pipe exhaust system. With this been said, be sure to check the spy video above and get a closer look at the new Golf R Wagon.